Quentin Tarantino hit the San Diego Comic Con with seven of The Hateful Eight (Kurt Russell, Tim Roth, Walton Goggins, Demian Bichir, Bruce Dern, Michael Madsen, and Jennifer Jason Leigh). The writer/director showed about 8 minutes of footage and dropped the bombshell that the mighty Ennio Morricone would be composing the score for the film (his first western score in over 40 years). Tarantino stated how he wasn’t a fan of shooting films digitally (“That’s not the movie industry I signed up for. I am not a fan of digital projection…we’ve already ceded too much ground to the barbarians”) and that the Panavision lenses used to film The Hateful Eight were the same ones used on William Wyler’s Ben-Hur. 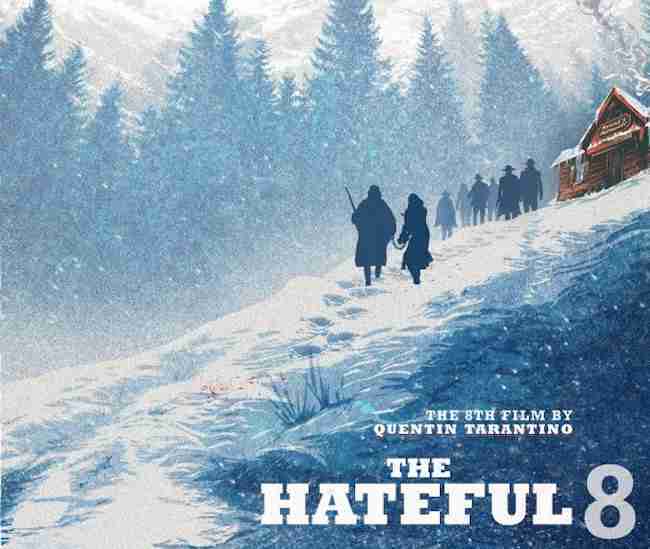 The Hateful Eight opens in December 25, 2015.